Our mission at Trinity Grammar School is to help boys discover their innate talents and unlock their full potential within the context of a supportive Christian environment. 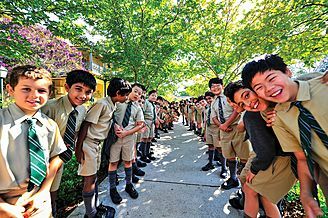 Centrally located in Sydney’s Inner West, Trinity Grammar School celebrates its ethnic, religious, and geographic diversity. For over a century, we have guided boys to grow in mind, body and spirit and we know what boys need to truly flourish and succeed. Your son will be guided and mentored by a dedicated and skilled staff that is committed to ensuring he is well supported and encouraged to reach his full potential. By getting to know your son’s unique abilities, hopes and concerns, he will be understood and inspired in Trinity’s unique way. From Pre-Kindergarten to Year 12, Trinity’s thorough and challenging curriculum is delivered by highly specialised and passionate teachers who get to know each student and make learning engaging and exciting. Trinity empowers boys to pursue their passions, whether it be in academics, sport, creative arts or performing arts. We are one of only nine schools in the world to be accredited as a World Academy of Sport Athlete Friendly Education Centre (AFEC). This allows us to provide flexibility and support for exceptional student athletes to study the IB Diploma over a period of up to four years rather than the standard two years. Pre-Kindergarten to Year 6 adopts the International Baccalaureate’s Primary Years Programme (PYP) based on an inquiry learning model. Your son will pursue his own interests and make meaningful connections in his learning with his home, the community and the world. Years 7 to 10 offer the standard subjects in addition to Latin, French, German, Classical Greek, Information and Software Technology, Commerce, Music, Graphics Technology and more. As an alternative to the HSC, Trinity offers the International Baccalaureate Diploma (IB), which is a two-year rigorous international academic curriculum. Trinity commenced the IB program in NSW in 1998 and delivers the widest range of HSC and IB subject choices in NSW, with dedicated classes and experienced IB teachers, consistently achieving outstanding results. Trinity Education Support Services (TESS) provides integrated support to students across all campuses. The team consists of registered psychologists, specialist teachers, speech pathologists, occupational therapists and teacher’s aides. 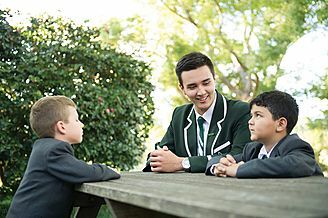 With a wide-ranging curriculum that caters for all students, your son has his best chance of realising his potential, passions and purpose in life, at Trinity Grammar School. Trinity Grammar School understands the importance of making a good beginning. From the significant foundation years of schooling, boys are provided with opportunities to develop in mind, body and spirit. 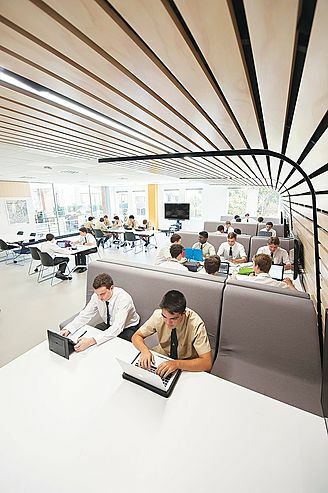 The boys’ needs are met by a differentiated, inquiry-based curriculum, delivered by motivated, creative and caring classroom teachers using exceptional facilities and resources. At the core of this is the International Baccalaureate (IB) Primary Years Programme (PYP) which guides boys to become independent inquiry learners. For students from Pre-Kindergarten to Year 6, the PYP focuses on the development of the whole child, in the classroom and in the wider world. It offers a framework that meets the academic, social, physical, emotional and cultural needs of each child. At Trinity, the NSW Board of Studies Curriculum is taught through the PYP framework for learning, to meet the academic needs of all students. Trinity is a fully authorised IBO PYP school having achieved this distinction in 2010. In the primary years, boys benefit from caring, experienced, motivated, creative, and highly-trained teachers who nurture each student to help him realise his full potential. Specialist teachers in Physical Education, Music, Visual Arts, a Language other than English and Christian Studies support classroom teachers to deliver appropriate curriculum to all students. The Trinity Educational Support Services (TESS) team provides Gifted and Talented Educators, Literacy and Numeracy Support teachers, as well as English as a Second Language/Dialect (EAL/D) teachers to assess, monitor and support the needs of each child. The School's Languages Other Than English (LOTE) are Mandarin and Italian. Mandarin is commenced intensively in Year 3, continued through to Year 6, and is available in the Middle and Senior years. Italian is taught in Kindergarten to Year 2. 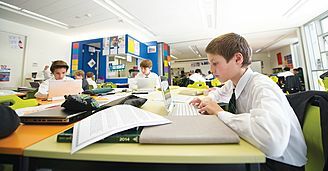 Throughout the School, boys have one-on-one access to technology to promote the development of digital literacy and support inquiry and creation. The School's curriculum is constantly evolving and reflects the changing needs of boys and society. Trinity is committed to offering its students the broadest possible choice and to be on the cutting edge of educational development and thought. The globally recognised International Baccalaureate (IB) Diploma is another academic pathway that Trinity Grammar School offers students in Years 11 and 12. In 2017 85 percent of the class exceeded the IB world average score, including one perfect IB score of 45. Currently almost half of all Trinity Senior students undertake the IB Diploma because of its international outlook, the variety of subjects offered, the way it prepares students for further tertiary study and Trinity’s IB continued success. We offer arguably the widest range of IB subject choices in New South Wales delivered by qualified and experienced IB teachers. The IB Diploma has great international portability to the most prestigious universities in the world, including Oxford, Cambridge, Harvard and Princeton. IB results are automatically and electronically conveyed to Australian Universities, with ATAR equivalents. Who is the IB for? Potential candidates should be highly motivated, independent learners looking for a challenge and wanting to achieve optimal results. 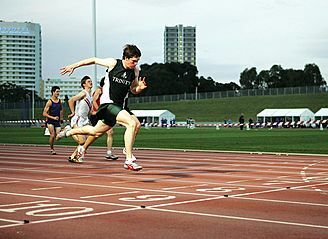 Additionally, in 2015, Trinity became the first school in Australasia to be accredited as a World Academy of Sport Athlete Friendly Education Centre (AFEC). It is one of only nine schools in the world to receive this accreditation. The World Academy of Sport (WAoS) launched a global initiative to accredit schools and education centres to provide flexibility and support to exceptional student athletes, enabling them to combine challenging training schedules with their academic commitments. This means boys at Trinity can study the IB Diploma Programme over a period of up to four years instead of the usual two years.